Located in the city park overlooking the Kennebec River, this 1889 landmark is a beautiful example of Romanesque Revival. 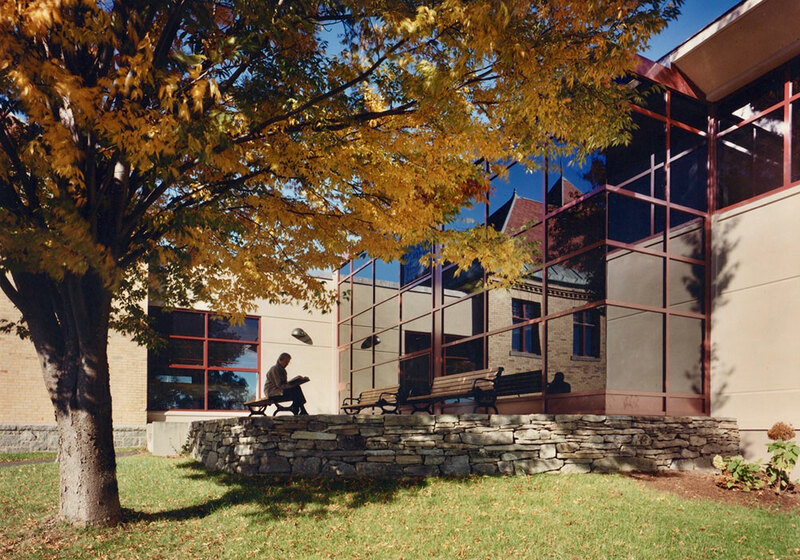 The Patten Free Library has served the people of Bath since Architect George Edward Harding, a Bath native with a practice in New York City, provided a design whose exterior clearly indicated to the viewer where the reading room, library stacks, and stair tower were located. The result was a structure unique in the architectural fabric of Bath, almost a fortress to house the books, the library’s treasures. 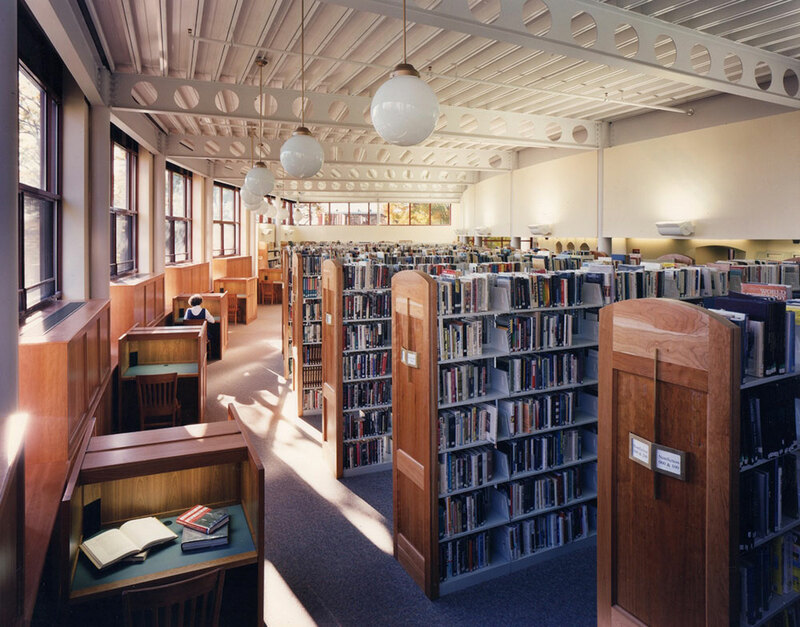 By 1960 the library collection had grown to some 60,000 volumes from the original 4308 volumes in 1889. 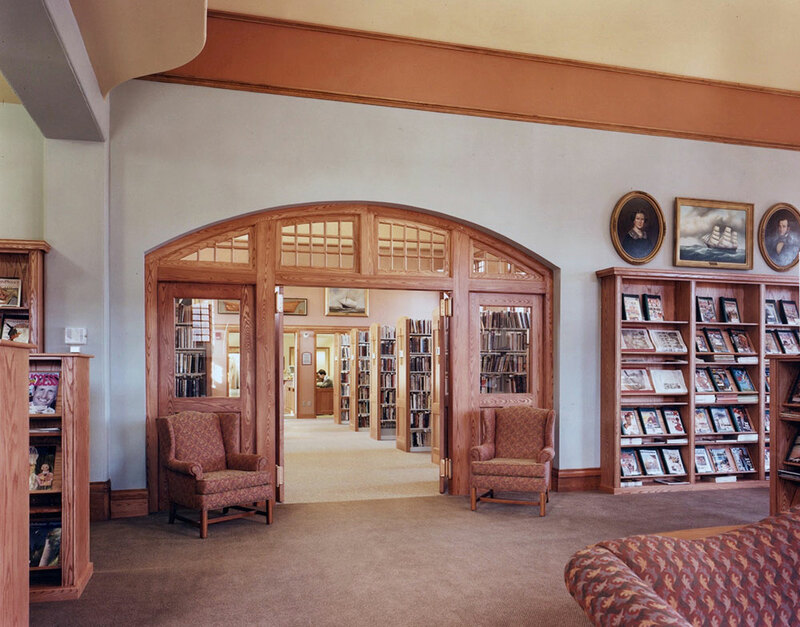 The library was expanded with a new entry foyer and reading room. 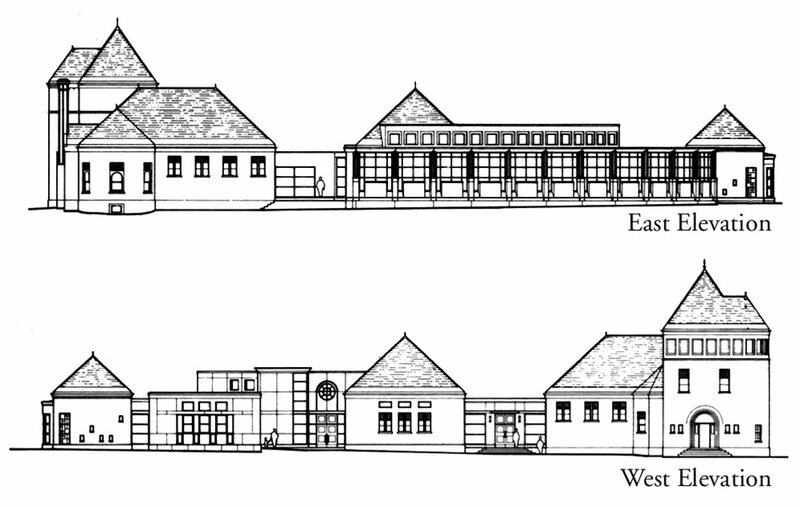 The current expansion provides for both the current needs of the library as well as room for growth. The new project doubled the library’s size, tripled its capacity, and included historic restoration of the original 19th c building. 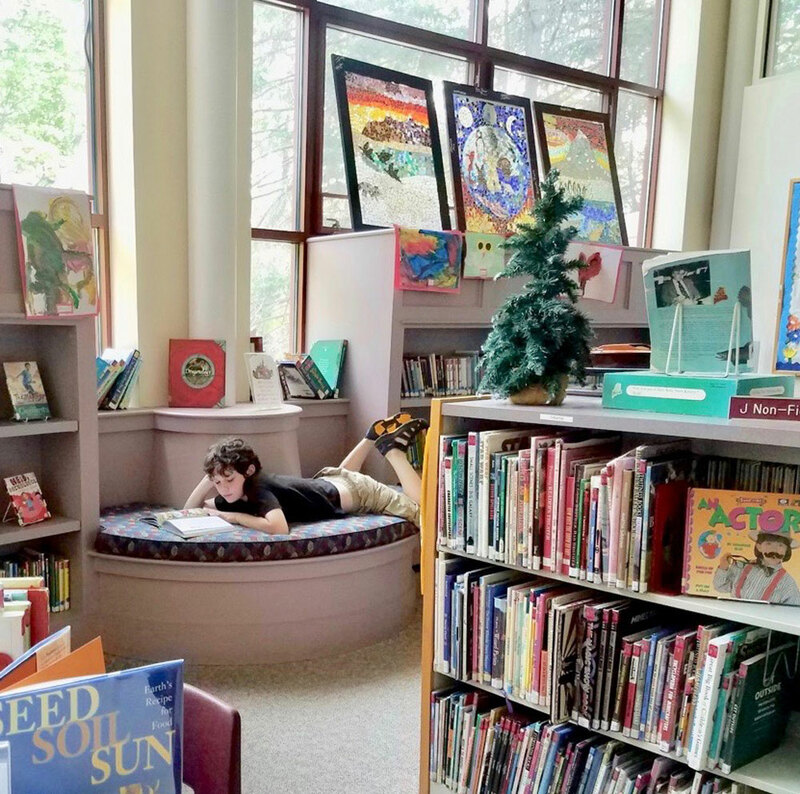 The design organizes the entire facility along a linear circulation spine anchored by the reading room hearth on one side, and the bay window of the children’s reading room at the other. 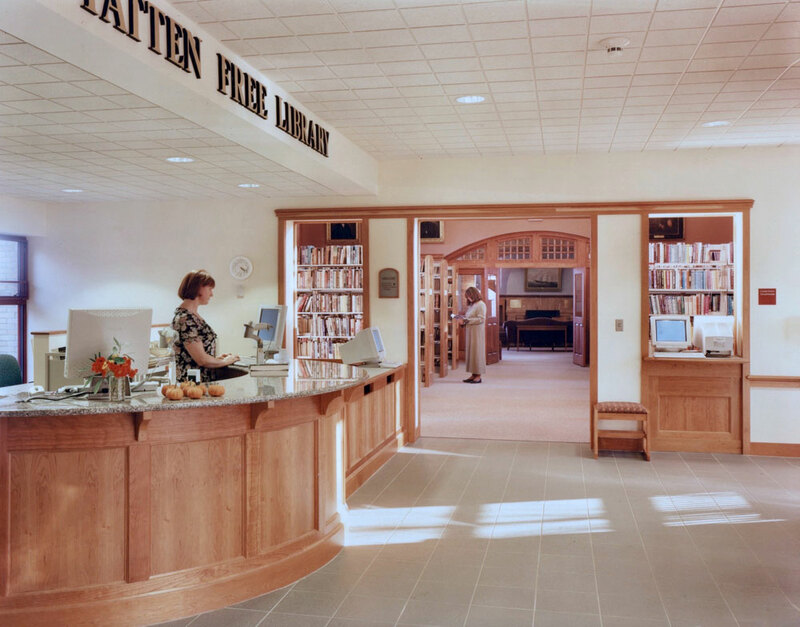 The main entry and circulation desk are centrally located. The stacks are laid out in a fan which responds to the park’s curving path. Reading carrels are built in at windows along the curving exterior wall affording views to the park and river. 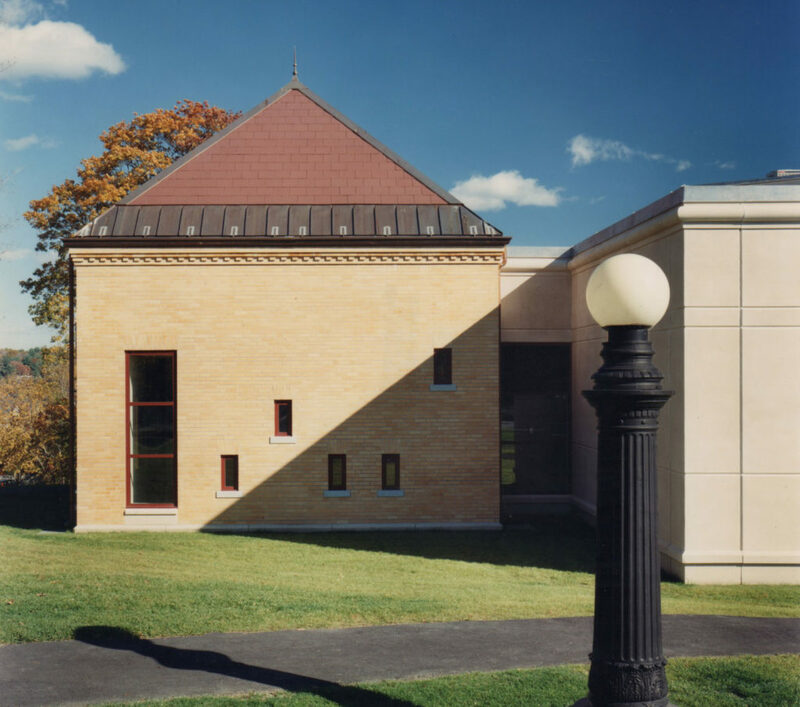 From the exterior the principal elements of the design are the three yellow brick volumes topped with hipped roofs clad in red slate. 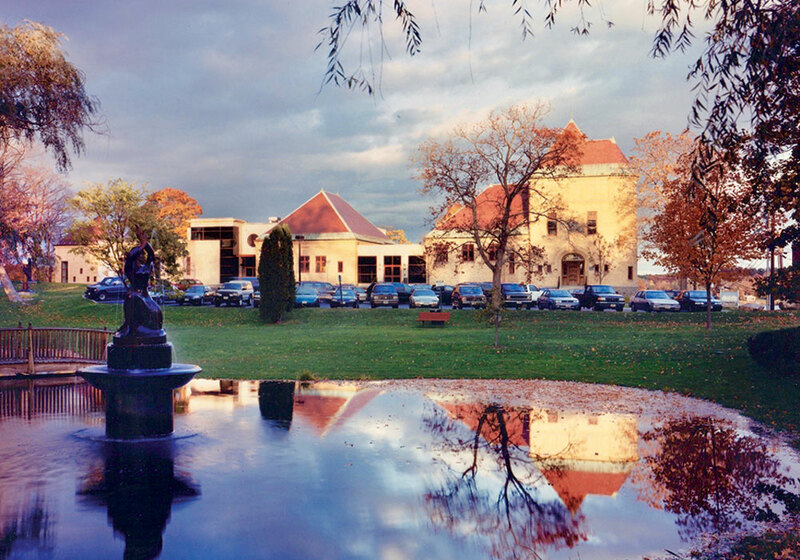 They are organized along the circulation spine and progress in scale from the most prominent, the original library with its tower, to the more diminutive children’s reading room, with its child-sized windows, looking like a small pavilion in the park.